Vedanta isn't the only company eyeing Orissa's highquality bauxite. At least two more companies—Utkal Alumina India Ltd and multinational giant BHP Billiton— have mining and refinery projects in the pipeline. NALCO, one of the companies mining bauxite in the state, is mulling expansion of its mines. Low-priced, good quality bauxite, cheap labour and low production costs combined with proximity to ports, make mining an attractive proposition in Orissa. Only a small quantity of bauxite, as raw material for aluminium, is sold in Indian markets, because most aluminium makers have captive mines. 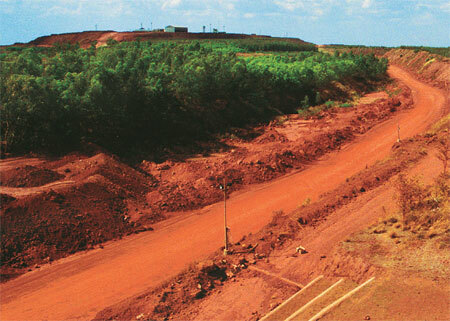 In the international market, bauxite is priced at US $100 per tonne (over Rs 4,000), while in India, the estimated cost to mine bauxite is Rs 225 per tonne. The price of aluminium in the global market is US $2,680 per tonne—over Rs 1,00,000 as per June 20, 2007. Indian companies can make a killing in this market with their captive bauxite mines. This explains the gold rush to Orissa. NALCO's balance sheet is an useful indicator of the economics of bauxite. In 2005-06, its net profit, after accounting for taxes and payments to the state, was Rs 1,562 crore. The company's balance sheet also says the state's share in this, as royalty and cess, came to Rs. 37.54 crore (or 2 per cent of the total profit). "Royalty rates fixed by the centre are very low and state governments have been asking for a hike," says Ashok Dalwai, Orissa's mining secretary. He says the state doesn't profit much from mining per se, but benefits from value addition in the state by the mining companies. "We ask companies to set up ancillary units that generate employment and income for the state through sales tax revenues," he says. Dalwai cites Vedanta's Jharsuguda smelter project as an example. 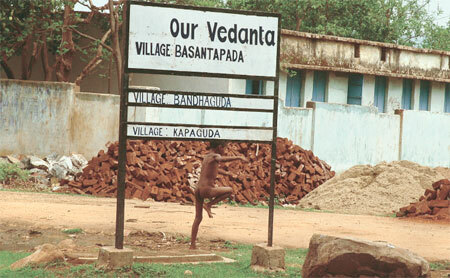 Vedanta's mines just tap 5 per cent of the 1,491 million tonnes of bauxite in Orissa. But what happens in the Vedanta case will pave the way for similar projects. The stakes, as we said in the beginning, are high. They are high for the company, which is not in the habit of brooking opposition. Once this project gets the green light, other companies hope their roadblocks will disappear. The state government is keen to push growth-at-all-cost programmes, even though it will earn little in the bargain. The stakes are high also on the other side. People live in these lands. They know that if this project goes through, their sacred forests will go. More importantly, they know that these forests provide them livelihood, water and agricultural productivity. They also know that this project, once it goes through, will pave the way for more projects and more destruction. They say if the project is cleared they will know that the rules are for the poor and not the rich. Another powerful company would have won. Another community would have lost, they say. The fact is, the country is waiting to intensify its use of resources. But will it be able to strike a balance? If it wants to do this, it will have to have confidence in its institutions to independently assess impact, negotiate and mitigate damage and have the strength to take on the most powerful to protect the interests of the powerless.